ANSI B16.11, BS3799, JIS B2316, GB/T14383, MSS SP-83, MSS SP-79 Etc. A Socket weld union pipe fitting is similar to a Coupling, except it is designed to allow quick and convenient disconnection of pipes for maintenance or fixture replacement. 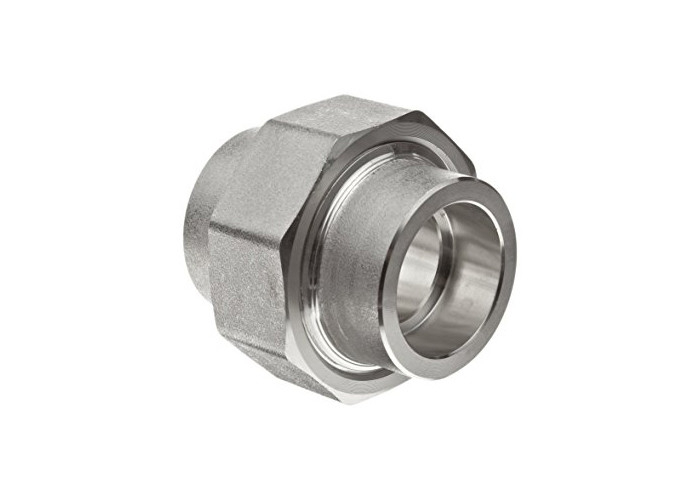 While a Coupling would require either solvent welding or being able to rotate all the pipes adjacent as with a Threaded Coupling, a Union provides a simple nut transition, allowing easy release at any time. Socket weld union fitting is a forged high pressure pipe fittings what is applied to various piping systems. With a step on the gallery, a pipe is inserted into the recessed area to welding and installing. 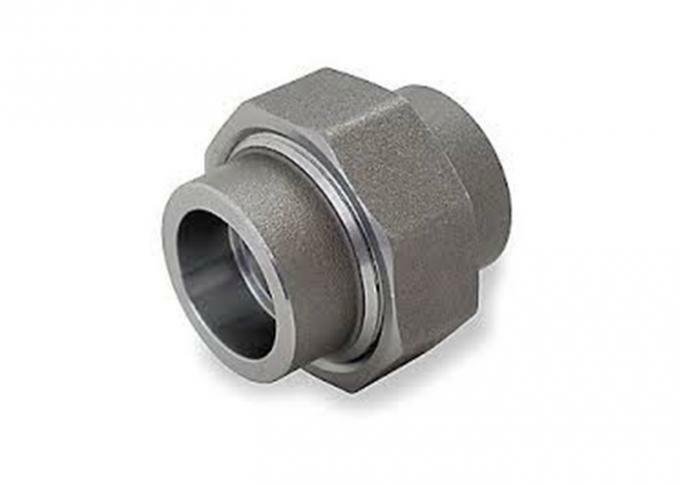 In contrast to buttweld fittings, socket-weld fittings are generally small diameter but with high pressure rate working. Socket-welded Joints construction is a good choice wherever the benefits of high leakage integrity and great structural strength are important design considerations. Forged stainless material corforms to ASME A182. Forged stainless steel fitting dimensions conform to ASME B16.11. 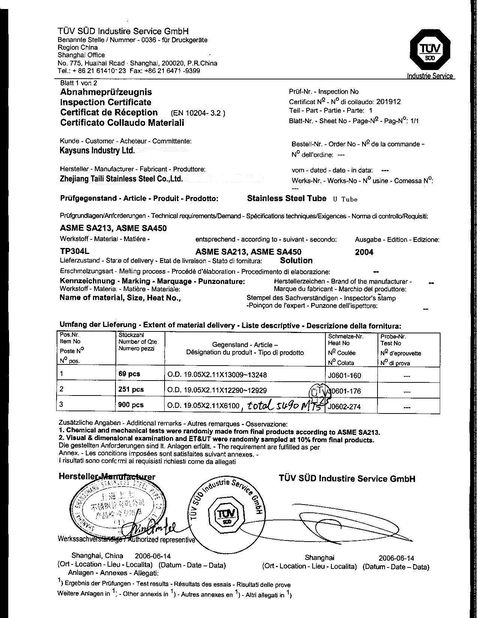 NPT threads conform to ASME B1.20.1. Socket fittings conform to ASME B16.11. Forged stainless unions conform to MSS SP-83. Forged stainless outlets conform to MSS SP-97. Forged stainless socket weld inserts conform to MSS SP-79. Product: Elbow(90°,45°), Tee, Full coupling, Half coupling, Reducing Coupling, High pressure boss, Welding boss, (45°) Mitre boss, Reducing coupling, Cap(Socket-welded End), Union(SW), Socket Reducing Insert etc. Stainless Steel: ASTM A182 F304, F304L, F304/304L, F316, F316L, F316/FP316L, F317L, F321, F321H, F347, F347H, F51(Duplex Steel), N08904etc. Nickel-based Alloy: Monel 400,Inconel 600,Incoloy 800/H,Alloy 20,Hastelloy C276,C22,B2, Cu70Ni30,Cu90Ni10,Titanium etc. 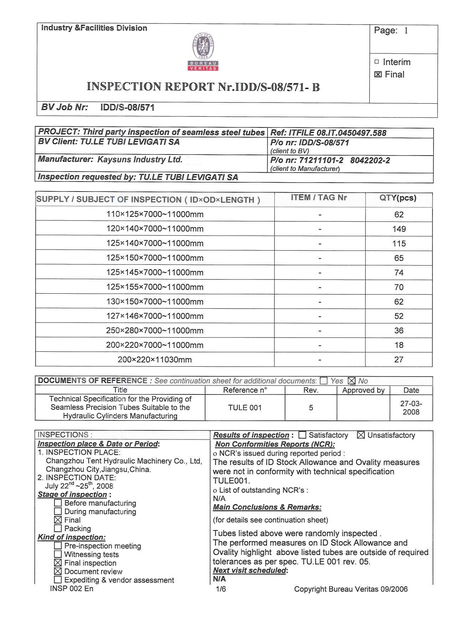 Standards: ANSI B16.11, BS3799, JIS B2316, GB/T14383, MSS SP-83, MSS SP-79 etc. *For more information about SW union fittings, please contact us.